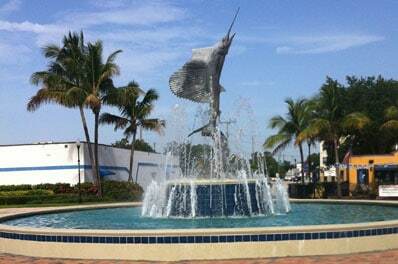 The beautiful city of Stuart, in Martin County, is known for its excellent fishing. Stuart boasts the largest year-round population in Martin County at 17,285, and in the winter, its population grows to 21,087 as people stay to enjoy its mild and pleasant winter weather. The St. Lucie and Indian Rivers run alongside Stuart, labeled the “Sailfish Capital of the World” for the incredible sailfish fishing season open from November to May. Some of the most beautiful beaches in Florida are in Stuart, where sea turtles build their nests year after year. All Points Medical Waste is proud to serve Stuart. We have provided document shredding solutions here since 1994, featuring exceptional customer service and competitive pricing for businesses and residents. In 2013, we began offering medical waste services in Stuart. We have made it our mission to provide excellent customer service and competitive rates, keeping our clients happy, safe, and secure. All Points Medical Waste is a proudly woman-owned and operated business. We offer a full suite of medical waste disposal and compliance services to our clients, who range from small to mid-sized medical waste generators. Responsible disposal of medical waste is required by law, and choosing the right medical waste company is crucial. Most medical waste generators do not know that they are responsible for their medical waste from creation to disposal. Choose a company who will properly transport and dispose of your medical waste and sharps. It can save you hours of time, thousands of dollars, and protect you from legal violations. We are committed to providing exceptional customer service at competitive rates. We are a full-service security company that offers our clients medical waste disposal and online compliance training for Bloodborne Pathogens, MSDS, DOT, Safety Plans, HIPAA and more. We also provide on-site document shredding and hard drive destruction for a total security solution. All Points Medical Waste is proud to employ drivers and customer care representatives who have served in the U.S. military. Each team member undergoes background checks and regular drug testing as a condition of their employment. If you are interested in All Points Medical Waste services in Stuart, please contact us by phone or complete the form on this page.